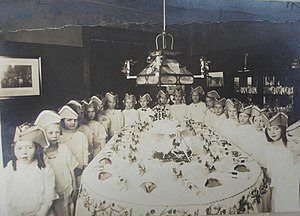 When I was a little girl, about eleven years old, I had a birthday party. I was allowed to invite anyone that I wanted to. I invited the requisite family members and all of my best friends to my house for a party overflowing with pizza, ice cream, and buttercream frosting covered yellow sheet cake. This was going to be the greatest birthday party I’d ever had. It wasn’t going to be like the time when my younger cousin (birthday two days before mine), sitting on my lap to take a birthday picture, rammed his face and chubby little hands into the cake, destroying Ms. Piggy while leaving his Raphael Ninja Turtle unscathed. It wouldn’t be like the time when four people came with the chicken pox and gave me the disease. It wasn’t going to be like the time there was a blizzard and all the guest who managed to make it got snowed in at my aunts. Yes, I was still sharing a party with my younger cousin (four years younger) and my little brother (eight years younger), but my friends would be there this year. Only, none of those friends came. I was so diappointed. While my little brother and cousin took pictures of them with their birthday booty, I pouted in a corner. All of my friends had baulked at coming to this “baby party.” I was, once again, the only one not having fun at my birthday party. This isn’t an example of the worst birthday I’ve ever had. I’ve been in many a more awkward situation (hanging out with drunks, for example) on my birthday. It’s not the best birthday I’ve ever had either (that would have to be the weekend my boyfriend came to visit and took me to FISS, to dinner, to parties, to church, and bought me new shoes!). But, looking back on that birthday, I took away a valuable lesson. There are times when I’m outlining, writing, or just living when I think of great characters. These characters are funny, daring, interesting, smart, beautiful, rich, elite. Of course, they must go in this story. Oh, I just have to befriend her. I invite them to my “literary” “writing parties.” It’s very strategic. I know they will liven things up, open up old wounds for a character, push a character into doing something they really shouldn’t do, or provide the reader with a few good laughs. I just have to have them at my party. Only, they don’t show up. Instead, I get the characters that I knew would be there, the family of the fiction world. I get the over protective aunts, the fashionable older aunt, the bad cousins. I get the people you have to prepare for by hiding your purse and putting away anything breakable. I get the people you never really invite but who always manage to find the party. The thing is, though, in fiction and in life, the people who should be there, who need to be there, all show up. Maybe the popular girl at school didn’t show up, but my favorite uncle who always makes me laugh was there to cheer me up. Maybe the catty high school nemesis hasn’t yet shown up in my story, but the best friend who always has my MC’s back and gets them into (and out of) a fair share of scrapes was the first one to show up. If you look through my social media, email accounts, and cell phone, the people I wanted at that party are largely conspicuous by their absence. When I look back on that party, on the way I eventually had a great time with the people who really are important, I don’t notice their absence at all. So, I’m encouraging myself to trust my writing and not force the wrong characters into my story. If it doesn’t fit, you must acquit. Let that character, and yourself, go free. He might just show up in another story. This is my birthday present to myself, the gift to be free of my own outlines and get lost in the story. I recently recalled my experiences with Tai Chi, a slight memory of golden apples on a ceiling that spawned a creative non-fiction piece “Creative Visualization.” Just today, I was twice reminded of other memories: one directly related to my memoir, and one of a grade school trip to the state capital. I’ve never had a problem remembering things, and I don’t know why it surprises me that the memories are still in there, somewhere, waiting to be knocked loose by an image or a thought so they can float to the surface. It’s just amazing how the cosmic shifts inside of me caused by my birthday have opened me up to such mundane memories. It’s equally amazing that these memories, upon reexamination, are so rich in meaning and appropriate for the projects I’m working on. I’m writing at a higher level than before. My blog(s) are developing a good following and inspiring discussion. I’ve erased some of the old habits and debts that have kept me back. I’m finally ready to seek publication again. My writing voice is more fully developed than it was last year. Since I’ve stop pushing back memories of my life, stopped thinking my life is uninteresting and uninspiring, I’ve come to see so many jewels of wisdom and insight. I’ve realized I have something to say, not just as a fiction writer, but as a non-fiction writer. I’m realizing I’ve accomplished a lot, much more than I give myself credit for, and I still have a lot of life left (hopefully) to accomplish over and exceeding everything I’ve ever imagined. I’ll get there in my own time, when the time is right. I just have to trust that I’m going to get there, and keep walking.